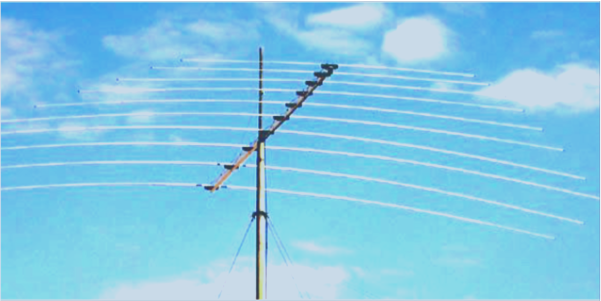 RLP10-30 log periodic dipole array operates in frequency range of 10-30 MHz, allowing for very long-range directional HF voice and data communications. RLP10-30 is constructed from aluminum, stainless steel, and UV resistant plastic making it lightweight, durable, and trouble free. Supplied in kit form, including all mounting and assembly hardware, necessary tools, and detailed instructions for easy assembly.